Honestly, who tail blocks the pipe at Pier Park? Well, this week’s Monday Cover skater, Andy Macdonald, is one of them. That’s one big pipe and that’s one rad tail block. 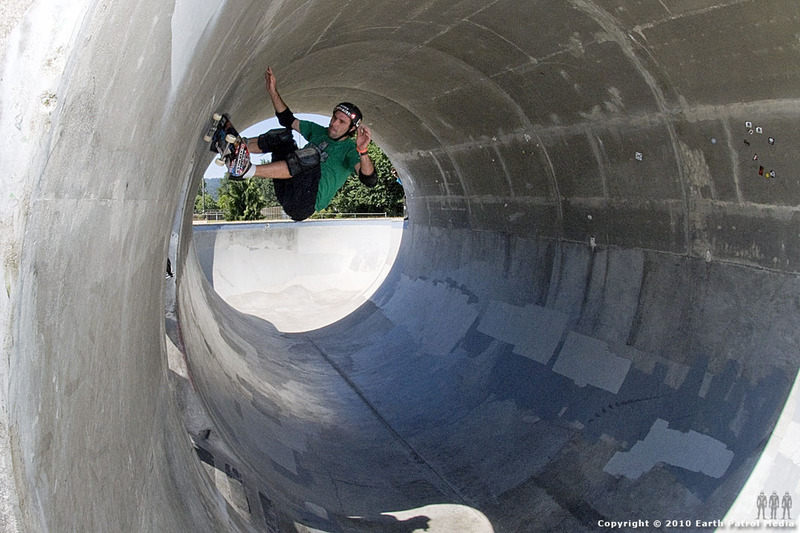 Check out more pics of Andy’s dismantling of Pier Park after the turn. oh those are nice !! Frontside blunt on the hip. Nuf said. What’s up with Wally’s right arm in that one photo. He’s smiling his way through a massive dislocation?